Staff | Our employees are a wealth of knowledge. Sheridan completed her Bachelor of Psychology (Honours) at the University of Wollongong, and is currently undertaking her PhD in sleep and circadian rhythms in the Australian Centre for Electromagnetic Bioeffects Research at the Illawarra Health and Medical Research Institute. She has presented some of her work at the Australasian Sleep Association Conferences and the Bioelectromagnetics Conference in Europe. She intends to further her research interests at the Institute of Sleep Medicine. 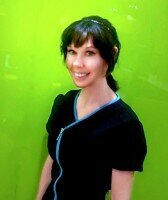 Sheridan’s passion for maintaining high clinical standards, her friendliness, attentiveness and efficiency make her a great asset to our team. Shayla obtained her Bachelor of Science (Psychology) at the University of Wollongong as well as her Graduate Diploma of Psychology Advanced at Monash University. She enjoys making sure every sleep study experience is a pleasant one, ensuring that the evening runs smoothly and effectively for both staff and guests. Shayla aims to pursue post graduate studies in the near future while advancing her career in sleep medicine. Azi has obtained her bachelors in IT and nursing from her home country (Iran) and is currently studying a bachelor of nursing here at Australian Catholic University. 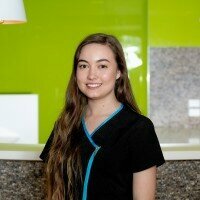 She enjoys taking care of our patients and is always determined to achieve the best results possible. 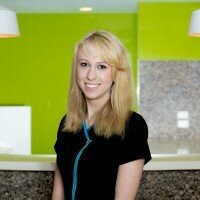 Azi thoroughly enjoys getting to know our patients, her friendly and compassionate nature suites our team perfectly. Azi plans to pursue post graduate studies in the near future. Lyn brings with her 20 years experience in the sleep medicine field and is excited to be part of a progressive and friendly team. She enjoys helping people and will ensure that our patients are given the care and attention to detail required for a successful sleep study and CPAP support. Allie joined Southern Healthcare Specialists in August 2018. She holds a PhD from the School of Medicine, UQ, and received Post-Doctoral training in neuroscience at ANU. She is a member of The Physiological Society and ANTA. Allie has experience in academia as well as in clinical practice settings. She is adept at performing a range of neurodiagnostic tests, such as EEG studies (routine, prolonged, ambulatory); somatosensory, auditory, and visual EPs; tremor studies; electroretinography; and nerve conduction studies. 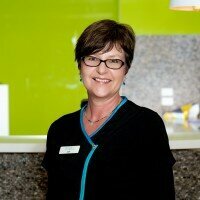 She enjoys working with clients, and ensures the time spent together is both rewarding and positive. Her goal at Southern Healthcare Specialists is to provide a high-quality and affordable neurophysiology service, in order to assist with the diagnosis and monitoring of neurological conditions.